(…) We start with the observation that, on the one hand, Islam surfaced in the Arabian Peninsula under conditions featuring an extremely unequal land quality distribution across regions. 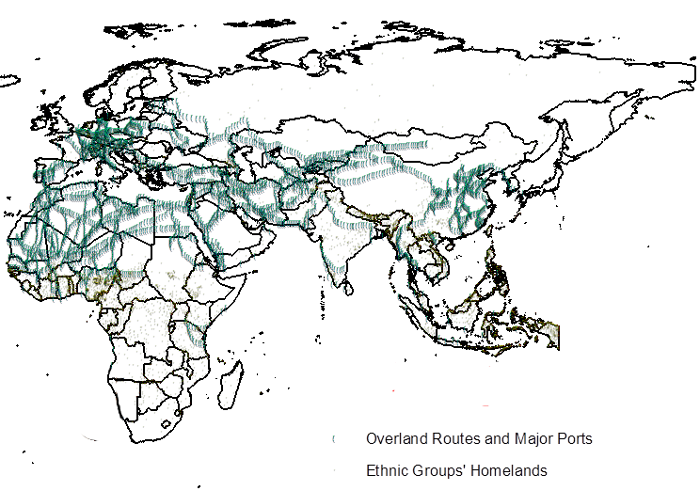 And, on the other hand, Islam surfaced in areas close to lucrative trade routes. As a result, when dwellers from the oases were attempting to cross the surrounding vast arid lands in pursuit of trade profits, they were facing threats to their livelihoods from nomadic groups. These encounters had the potential to bring trade flows to a halt, setting the stage for the emergence of a centralising force that featured redistributive rules. We argue that Islam was such a centralising force and that, accordingly, its economic tenets had to address inherent economic inequities across clans. This resulted in an economic doctrine that promoted poverty alleviation and redistribution, equitable inheritance rules and anti-usury laws. Fortunately, among the pre-colonial traits recorded by Murdock (1967) there is an entry describing whether a group believes or not in gods that are supportive.. of human morality. Anthropologists and evolutionary biologists have argued that the belief in moralising gods – gods who tell people what they should or should not do – was necessary to keep societies together by condemning infringements on other group members. Similarly, we argue that the presence of an unequal geography and proximity to trade opportunities intensified the need for cooperation among heterogeneous clans. Such cooperation could be achieved by adopting a religion which, besides the appropriate economic rules, would provide a coordination mechanism that penalised those who deviate from prescribed norms. With this in mind, it is not surprising to find that a 50% increase in Muslim adherence within a group increases the likelihood that a group believes in gods that dictate what should or should not be done by 40%. If anything, Christian and ethnoreligious groups are less likely to have harboured beliefs in a moralising god in the pre-colonial period. Read the full post online at VOX, download pdf at Brown University here, or as pdf here. Ann. of the Editor: I personally do not agree to the conclusions. Trade is based on trust. The Quran (similar to the Bible) has the character of a constitution. Moral norms as “Not Lie, Not Steal” are crucial until today’s international trade. “Being balanced against a feather” is a keyword in Muslim morals. International institutionalised morals can appear as international law (see INCO-Terms). See the whole article about Africa around 1500 online here or download as pdf here. Read the full article about Ancient Asian Trade online here or download pdf here. Can a Chinese ‘maritime silk route’ cool tensions in Asia? Many, both in China and in the region, view China’s mooted Regional Comprehensive Economic Partnership (RCEP) with the ASEAN+6 countries as a Chinese effort to push the regional agenda towards softer objectives. For Beijing, RCEP also has the benefit of countering the US-led Trans Pacific Partnership. Yet the benefit for China of achieving either of these objectives would pale in comparison to the potential benefit of President Xi Jinping’s realising his dream of reviving the ‘maritime silk route’, which he unveiled during his October 2013 visit to Malaysia and Indonesia. The route would build on the East Asia region’s proven strengths in sharing production. It could also enable a greater role for overseas Chinese communities in forging relationships to reduce regional tensions. 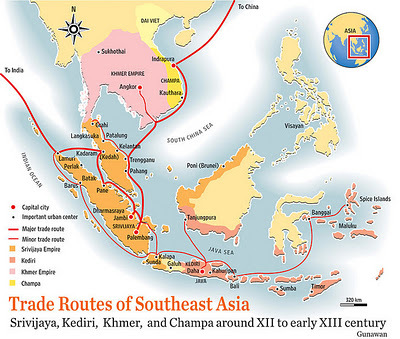 The movement of goods along the maritime silk route has a history of over two millennia, which reached its peak in the 15th century when legendary explorer Zheng He led an armada from China through Southeast and South Asia to the Persian Gulf. Today some of these same corridors support East Asia’s unique production sharing network which brings components produced throughout the region to China for assemblage and shipment to Europe and North America. Yukon Huang is Senior Associate at the Asia Program, Carnegie Endowment for International Peace, and a former country director at the World Bank in China. East Asia Forum at http://www.eastasiaforum.org/ is always worth a visit! Last September (Ann. of the Editor: meaning September 2013) when he delivered a speech at a university in Kazakhstan, Chinese President Xi Jinping raised the suggestion that China and Central Asian countries should work together to build the Silk Road Economic Belt. The proposal was met with immediate resonance among neighboring countries and received a warm reception. Some provinces in the western region of China have even begun preparing to participate in the new round of cross-border economic cooperation. Undoubtedly, the Silk Road Economic Belt will benefit all parties including China and her Central Asian partners. The mutual-benefit economic zone will help accelerate the development of China’s remote northwest regions and also facilitate China’s international cooperation with Central Asian countries. For both China and Central Asia, the Silk Road played an important role in creating marvelous civilizations and economic prosperity in ancient times. Around 2,000 years ago, a Chinese emperor of the Han Dynasty sent his envoy, Zhang Qian, to the unknown west in search of allies to resist the threat of northern nomads. Unexpectedly, Zhang’s journey pioneered a significant bond between China and Central Asia. Since then, a trade road linking China and Central Asia—even stretching as far as Europe—formed and countries along the road thrived. 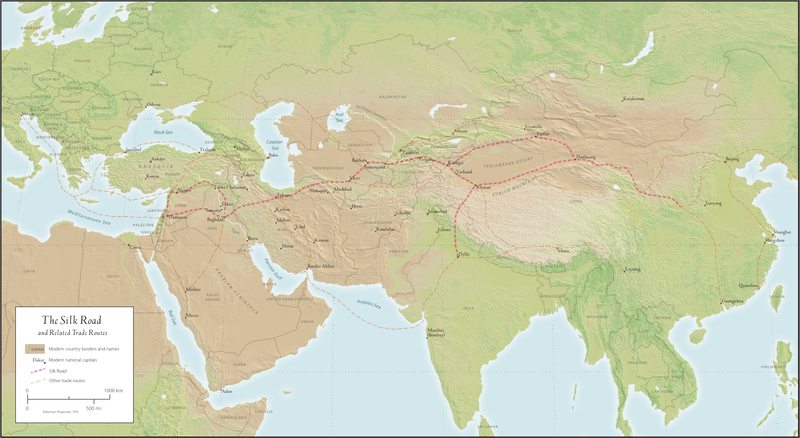 The historic Silk Road was the world’s longest trade route on land. Read the full article online here or download full pdf here. 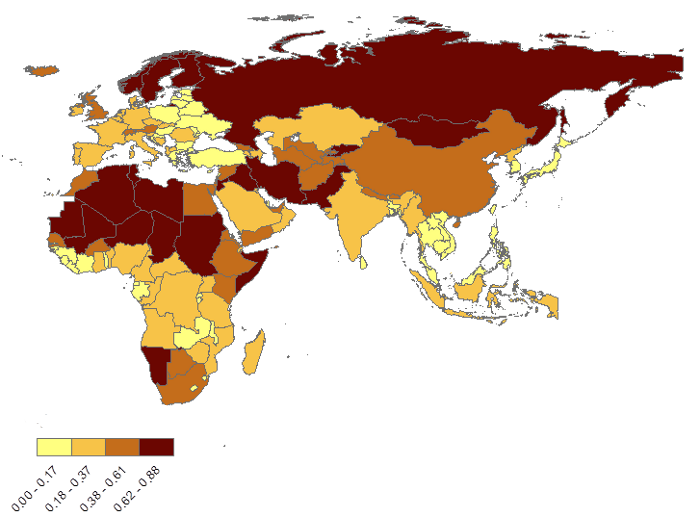 Drug production in Afghanistan has increased 40 times since NATO moved in there 13 years ago. The profit from that drug production has become the financial support of terrorism. I think there must be international cooperation among all neighboring countries of Afghanistan, i.e. China, Russia, India, Iran and hopefully others, to wipe out the drug traffic. The drug traffic problem has become a major security problem for Russia—hundreds of thousands of people die every year as a result of drug smuggling from Afghanistan. It has become a big security problem for China, because one of the drug routes goes through Xinjiang. It is also feeding terrorists in Tajikistan, Russia’s Chechnya, Pakistan and the whole region from Afghanistan all the way to Syria, North Africa and even Central Africa. This has become a major source of threat to the stability of the region. There must be international efforts to stabilize this region. That is why we have been proposing a very concrete extension of the Eurasian Land Bridge to the whole region, and even to Afghanistan, Syria and North Africa. You have to give incentive to the population and let them see the economic cooperation that gives them the chance to have a better future. There is better incentive than to go to drug production, or to support terrorism, which many people do because it’s being paid. Many people are just poor. You have to change the entire region with an economic development prospect which can only come from the New Silk Road Economic Belt. Click on the pic to enter! Read the whole survey from 2006 online here or download pdf here. (…) A comprehensive demographic study of more than 200 countries finds that there are 1.57 billion Muslims of all ages living in the world today, representing 23% of an estimated 2009 world population of 6.8 billion. 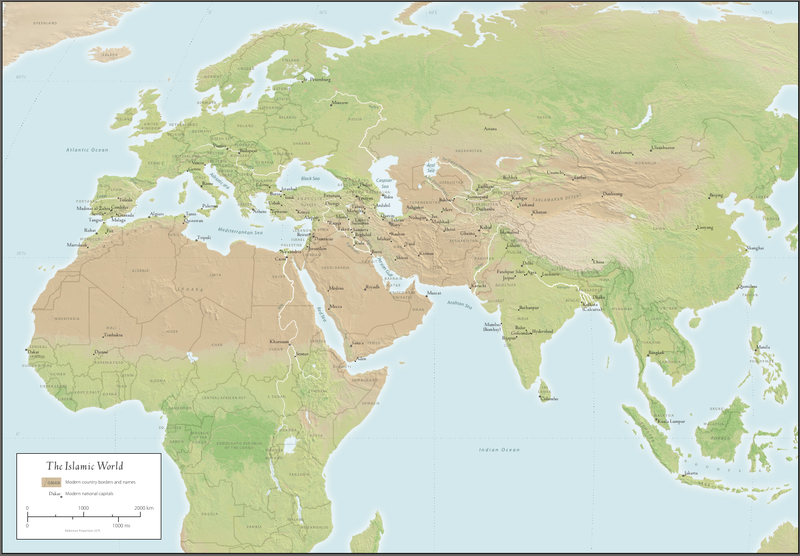 While Muslims are found on all five inhabited continents, more than 60% of the global Muslim population is in Asia and about 20% is in the Middle East and North Africa. However, the Middle East-North Africa region has the highest percentage of Muslim-majority countries. Indeed, more than half of the 20 countries and territories1 in that region have populations that are approximately 95% Muslim or greater. More than 300 million Muslims, or one-fifth of the world’s Muslim population, live in countries where Islam is not the majority religion. 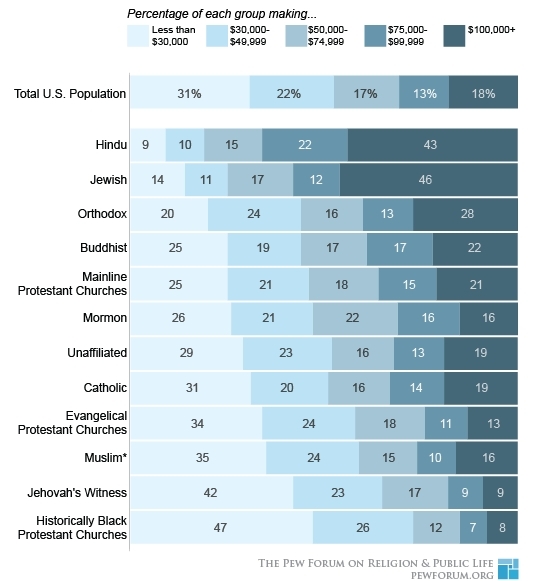 These minority Muslim populations are often quite large. 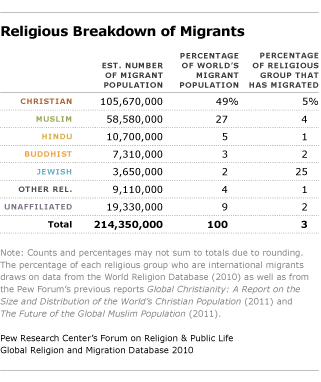 India, for example, has the third-largest population of Muslims worldwide. 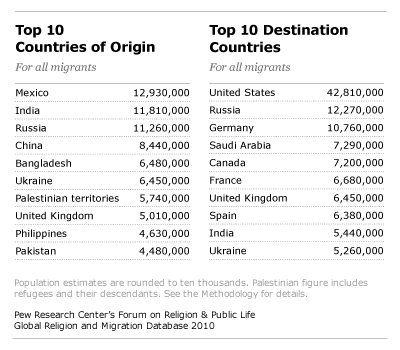 China has more Muslims than Syria, while Russia is home to more Muslims than Jordan and Libya combined. Jürgen Kuhlmann wrote an interesting article about the different concepts of history from a theologist`s point of view (Kreis oder Pfeil, 1982). He noticed, that Christianity (Western thinking) mainly focuses on linear conceptions of time (and history), while Eastern philosophy mainly focuses on concentric structures. Prof. Dr. Dr. Norbert Lohfink is a specialist for the exegesis of the Old Testament. He explained the development of a linear construction of history in the „Priestly Source“. Around 600-500 BC the Jews were enslaved by the Babylonian empire and lived under hard circumstances in the „Babylonian Exile“. The consignees of their scriptures should see, that the loss of their motherland would only be a temporary state. In this dynamic, the world seems to be stable (if no human misbehaviour would interfere). (Orientierung 1977,147 f). Annotation of the editor: at the same time the idea of the “Natural Philosophy” spread in Greece, which fits perfectly to the model of the arrow: an individual shoots throughout the time like an arrow. The implementation of the circular model is the eternal life after death, like the arrival in the Promised Land. This picture hangs in my home since I can think. It is called “Der breite und der schmale Weg – The Broad And The Narrow Way”. It is a good example for the linear conception of time in Christian cultures. You get this funny picture in 500kb at Luzius Schneider . Also hard copies are available there. 16 This is what the Lord says— he who made a way through the sea, a path through the mighty waters, 17 who drew out the chariots and horses, the army and reinforcements together, and they lay there, never to rise again, extinguished, snuffed out like a wick: 18 ‘Forget the former things; do not dwell on the past. 19 See, I am doing a new thing! Now it springs up; do you not perceive it? I am making a way in the wilderness and streams in the wasteland. 20 The wild animals honour me, the jackals and the owls, because I provide water in the wilderness and streams in the wasteland, to give drink to my people, my chosen, 21 the people I formed for myself that they may proclaim my praise. Laotzi lived at the same time as the Jews suffered from the Babylonian Exile about 500 years ago. That time China was suffering from never-ending civil wars and a decay of culture. As the leading intellectual of his time, he surely was aware of the great past of his country and searched for the reasons for this cultural decay. According to the changes in nature following different rhythms (moon, seasons, day and night, …) he developed the Dao (Tao) aka The Way, meaning to follow the natural order of nature. This natural order also includes a magic order of numbers. Like day and night, the seasons or the Chinese dynasties, all is due to a permanent change: up & down, raise & fall. 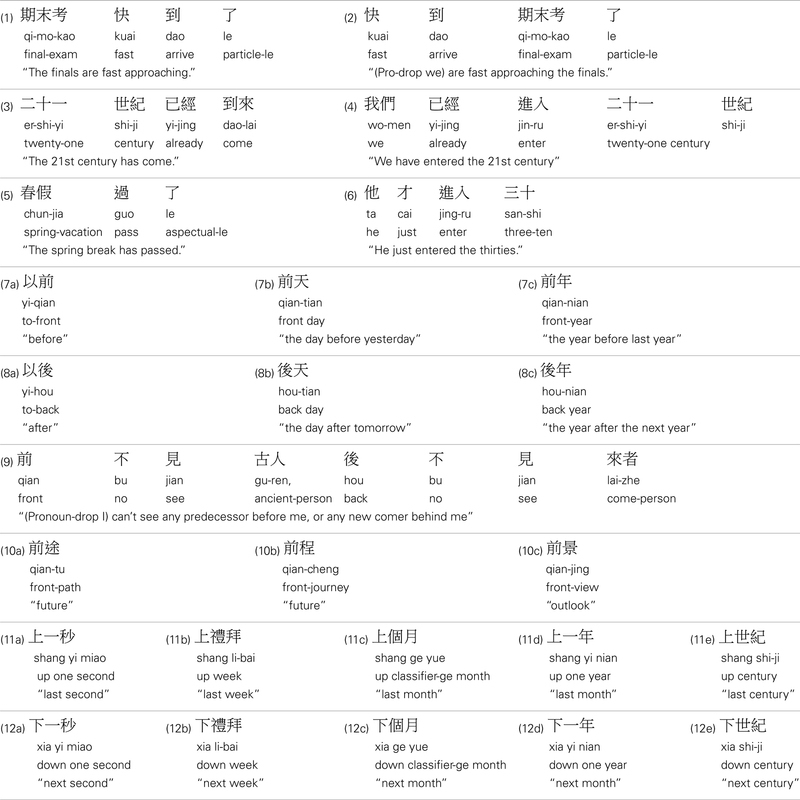 Laotzi described those rhythms as circles in the Taoteking (tao te king),which is probably the main Asian contribution to human culture. 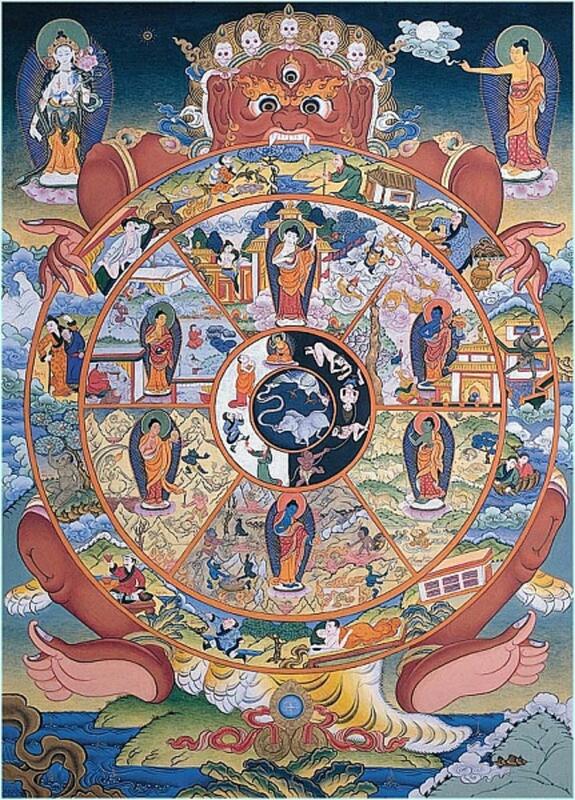 The Buddhist Samsara, the Wheel of Life is a model of human life. The devil holds this wheel, biting into the outer ring, representing the direct influence of the evil on daily life. The inner axle is formed by three animals, representing the deep human inner drives. Taoism and Buddhism both have in common a circular perception of life. Both form the circular model of Chinese / Asian thinking. For applications of circular vs. linear thinking please click here. Swiss journalist Lily Abegg, developed the model of the spiral. She writes according to the limited English skills of the editor: World history is similar to a unique, irreversible process, in which all cultures and individuals swings in a spiral. (…) Eastasians only see the concentric structures and do not see, that the spiral opens. We (i.e. Western people) mostly focus on distances and steps, skipping the concentric structures until the perspective looks linear. In “Social Change and Modernity” Hans Haferkamp and Neil J. Smelser noted: The original Judaeo-Christian eschatology still conceives history within the bounds of a model based on the action period. 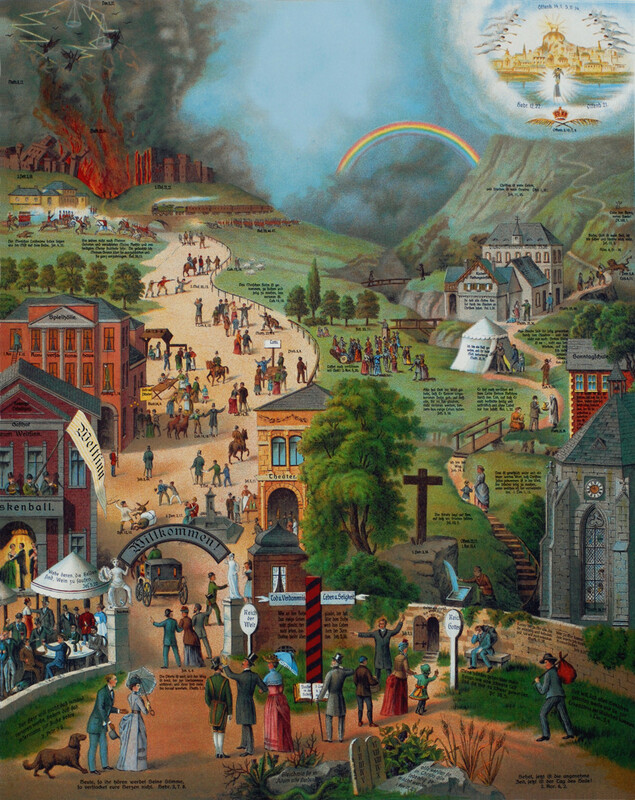 By virtue of its covenant with a mighty God and the intervention of his Son, a people remembers and experiences its history as the path toward a salvation that, to begin with, was understood in quite earthly terms. This ultimately magical pattern of interpretation was not so much based on the separation of different temporal levels as on the topological difference between the chosen people and the heathens. It was not until after it became obvious that the return of the Redeemer could not be expected within a single lifetime that—under the influence of classical philosophy—the time horizon and the topological difference between life on earth and the hereafter, between God and the world, between the immortal soul and mortal flesh, and between the terrestrial and heavenly realms were expanded and thus diverted attention away from the division between the chosen people and the heathens. There was an added topological difference between the individual and the world historical levels of explanation. The individual was able to make progress along the path to salvation; the world, via the sequence of the three realms (paradise, life after the fall, and salvation), carried out God’s promise of deliverance. Another development of momentous significance was the new form taken on by the process model for change in the secular sphere. The cyclical view of the rise and fall of empires was supplemented by the perspective of the unilinear and irreversible development of the world and progress toward salvation. Read the full .pdf online here or here. 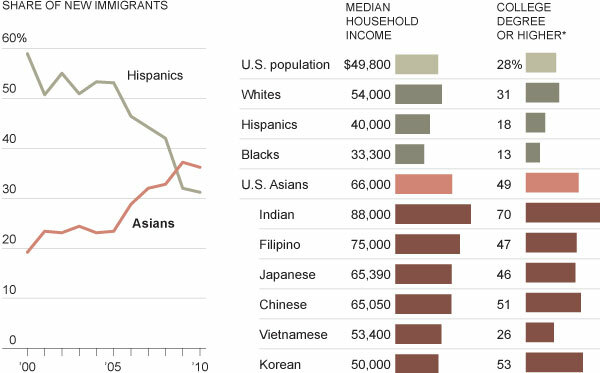 It became obvious, that Western people have to spend more energy to render relative judgments (bigger than, lower than, …) than Asians. 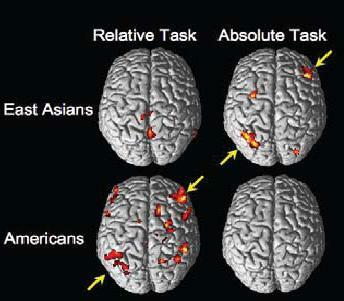 Vice versa it showed, that Asians needed more energy rendering absolute judgments (is or is not). Download the full pdf here, the article is on page 4 below. Read the full essay online at http://serendip.brynmawr.edu/sci_cult/evolit/s05/web3/mheeney.html or download as pdf here. (…) An analysis of this kind starts out from an interpretational pattern that makes no distinction between processes of social action, on the one hand, and processes of social order and social change, on the other hand. There is no recognizable social order standing out above processes of interaction within the framework of this interpretational pattern. The perception of change and temporal alteration is limited to the time-period one has lived through and remembered, to the durée of social action. Hence the “narrative” logic by which action is recounted both frames and structures the logic underlying the passage of time. The “stories” recalled are kept in motion by interaction among a number of actors, and the stories’ beginnings and ends are determined by how the theme of interaction is dealt with. Both the change experienced in the world during the course of action and the change experienced in the subjects themselves that they remember as they consider own personal experience of getting old are of course limited as long as there is no social structure differentiating among time periods. Aging processes take place synchronously and therefore hardly give cause for the social differentiation of periods of time or of temporal levels. Beyond the period of action and the lifetime as directly experienced the world is experienced as something timeless and ultimately chaotic. Primitive classifications, which by definition are not systematized by any superordinate principle, clearly show the unordered complexity of the world. They barely offer a topological “toehold” for identifying time that reaches beyond one’s own lifetime or beyond the actions of the present (Lévi-Strauss 1962). The only way in which primitive classification allows a number of lifetimes to be linked together is via the kinship link of conception and birth; this pushes the temporal horizon back into the past and creates an awareness of continuity and change independent of the experience of the present. Evidently, the extension of such a genealogical model of time marks out a line of development running from the action-period notion of time to the socially differentiated notion of time. Apart from the extension of historical space in Voltaire’s philosophy of history, the natural sciences’ concept of time in the eighteenth century also broke through the barriers of the hierarchical model of temporal levels. The concept of an objective measurable passage of time determined and moved by the laws of nature gradually asserted itself as a point of reference. Against it, historical time appears limited, imprecise, and inconstant. The temporality of the world, on the one hand, and that of the passage of history and experience, on the other hand, are hence ever more sharply delineated by different process models. “Objective” time moves according to the eternal laws of nature, whereas historical time is kept in motion by the progress of the human race (Elias 1984). Read the except online here or download .pdf here.